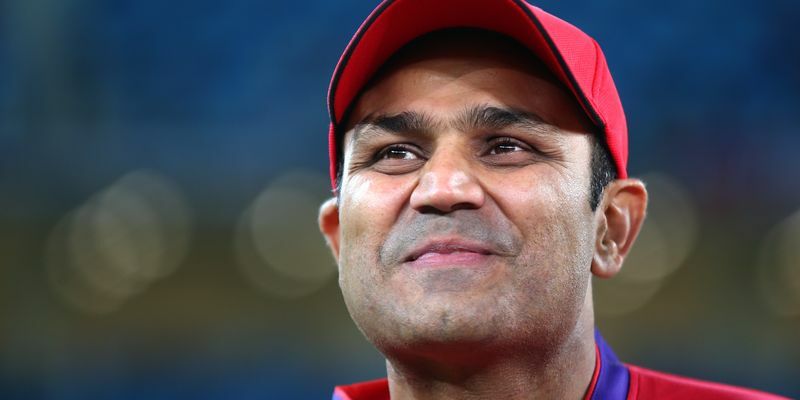 Considering MS Dhoni's experience of more than 300 ODIs, Virender Sehwag has stated that he would like the wicket-keeper to continue till the 2019 World Cup. He also mentioned that Rishabh Pant would be the most appropriate replacement for Dhoni in limited overs cricket, whenever he retires. With the 2019 World Cup scheduled to be held in England next year, the Indian team management will look forward to having a balanced ODI side. The Indian team will play ODI matches against West Indies at home in October before travelling down under and there will not be enough number of matches for a new wicket-keeper to come into the team. The former India opener has mentioned that although Pant can be a perfect successor of Dhoni, there are not enough matches to go before the World Cup. So he wants Dhoni to continue with the team at least till the next World Cup. Recently, Pant got a chance in the Indian Test squad in the series against England. He struck his maiden Test ton in the second innings of the final Test at The Oval and his performance was appreciated by many experts and former cricketers. “In my opinion, Dhoni should continue till the 2019 World Cup. Even if you play Pant in ODIs from now, he won’t be able to play more than 15-16 ODIs till the World Cup, which is far less compared to Dhoni, who has played over 300 ODIs. I would want Dhoni to continue till the World Cup,” Sehwag told India TV. According to Sehwag, he has noticed similarities in both Pant's and Dhoni's approach. He also mentioned that Dhoni is a player who can handle any situation on his own and he has seen the same temperament in Pant as well, which makes him the perfect replacement for Dhoni. “Pant has the right kind of the temperament to be a perfect heir for him (Dhoni). I want Dhoni to hand over the baton to Pant when he hangs his boots. Pant is someone who can hit sixes at his will, but when you talk about Dhoni, he has won matches single-handedly,” Sehwag said.